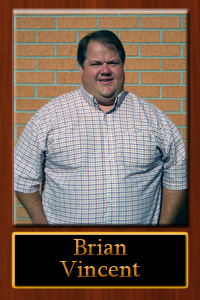 Ask some of our staff about Brian and their answer will mostly likely be “Brian can fix anything!” Even now, years after his employment with us, his former co-workers comment about his exceptional talent. Now he spends his days serving clients instead of cars and checking off “honey-dos” in place of repair requests. He has a successful career as an Outside Salesman for H&E Equipment and a happy marriage of 14 years with two children. Any new goals, he says, are all focused around his family. Rumor has it he is still one terrific fix-it guy and we’re proud to say we knew him when.